Sharing Jesus’ Love in Action – October is Pastor Appreciation Month! [Qualifications for Overseers and Deacons] Here is a trustworthy saying: Whoever aspires to be an overseer desires a noble task. Now the overseer is to be above reproach, faithful to his wife, temperate, self-controlled, respectable, hospitable, able to teach, not given to drunkenness, not violent but gentle, not quarrelsome, not a lover of money. He must manage his own family well and see that his children obey him, and he must do so in a manner worthy of full respect. (If anyone does not know how to manage his own family, how can he take care of God’s church?) He must not be a recent convert, or he may become conceited and fall under the same judgment as the devil. He must also have a good reputation with outsiders, so that he will not fall into disgrace and into the devil’s trap (I Timothy 3:1-7). Can you think of any other job where an employee must be on call 24x7x365, carry the emotional burdens of dozens of people, be held to a higher standard of behavior just because of the position, and still find time for a personal and family life? It’s no wonder we hear some depressing statistics around pastor burnout. Take a few moments to think about your pastor (or pastors) or other church workers you know. Do you think there might be something you and your LWML sisters might be able to do to lighten their loads and lift them up? The month of October is designated as Pastor Appreciation Month so now is the time to organize some activities to do just that! Let’s remember that pastors and teachers are given to us to help us learn God’s word and to carry out God’s will on Earth. Where would we be without them!? Who would we ask when we have tough questions? Who would we turn to when faced with illness or grief? Who joins with us in the celebrations of baptism and marriage? Why, of course, our pastors! Take some time to talk with your pastor one-on-one to tell him how much you appreciate him and ask what you and your LWML sisters can do to support him. Review the LWML Toolkit for Pastor Support. This resource has several ideas for encouraging and uplifting your pastor. Refer your pastor and other church workers to the LWML Church Workers in Mission page on the LWML web site. Share this LWML Leader Development tip titled Staying Energized as a Leader. Suggest that your congregational leaders review the tasks your pastor performs with the goal of identifying those tasks that could be performed by lay workers. In other words, if your pastor is regularly doing things that don’t require a seminary degree – maybe someone else should be doing them! An LCMS blog post titled An Ounce of Prevention provides information about Grace Place Lutheran Wellness Ministries, a Registered Service Organization (RSO) of the LCMS. 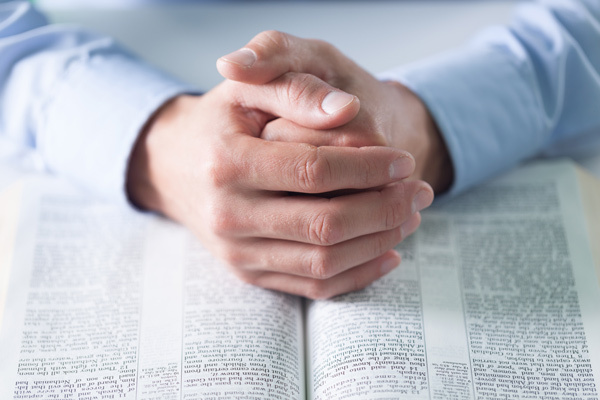 Another LCMS blog post, Church-Worker Wellness: When One Suffers…, provides additional information about resources to support church workers. The article How to Avoid Pastor Burnout from “The Parish Paper”, published by the Michigan District, explains major causes of burnout and how to address them. Dear Father in Heaven, please bring to our minds all those who serve us as pastors and teachers. Help us be mindful of their needs and to show support for them. Father, help us also remember that we are partners in ministry with them and that we too are charged with bringing your Word to the lost and erring. Thank you God for placing these men and women in our lives. In Jesus’ precious name we pray. Amen.